We’ve rounded up the best Easter treats ever so you (and the kids) will not be disappointed! Check out all the recipes and pin your favourites for later! 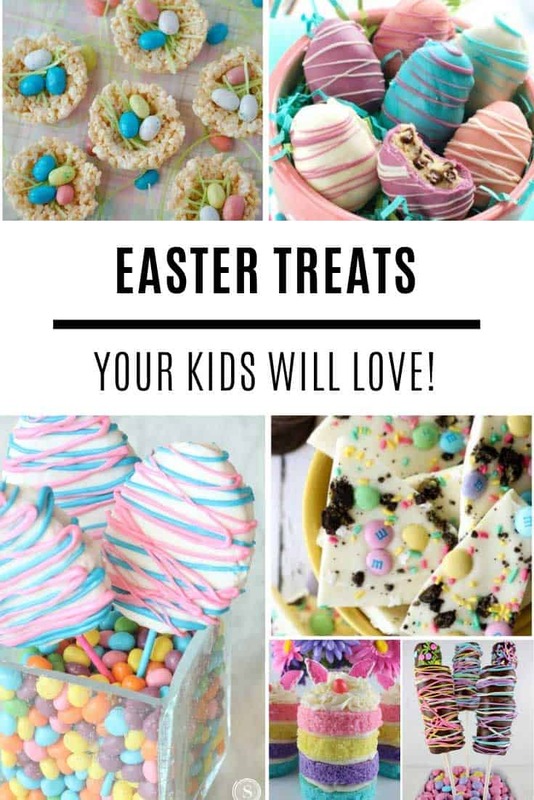 I know you want something really special for your Easter party this year and trust me the kids will go CRAZY when they see these Easter Treats. Everything from bunnies to peeps and some of them are almost too sticking CUTE to eat! 15. 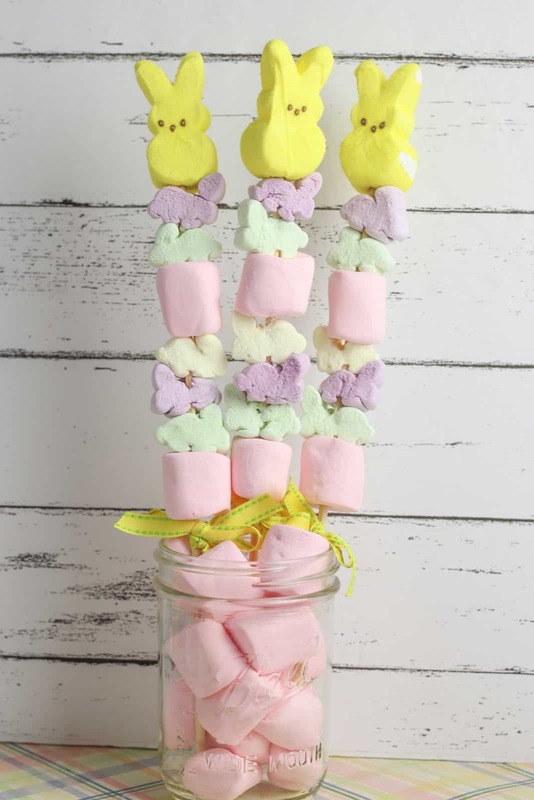 These bunny marshmallow kabobs will make a fabulous centerpiece! 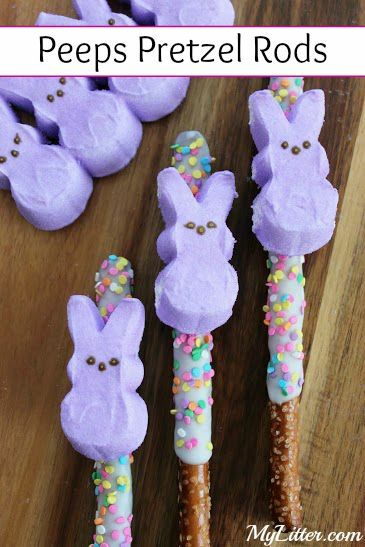 We think the Easter bunny would give these marshmallow Peep kabobs a thumbs up! The perfect treat for an Easter party or play date! 15. 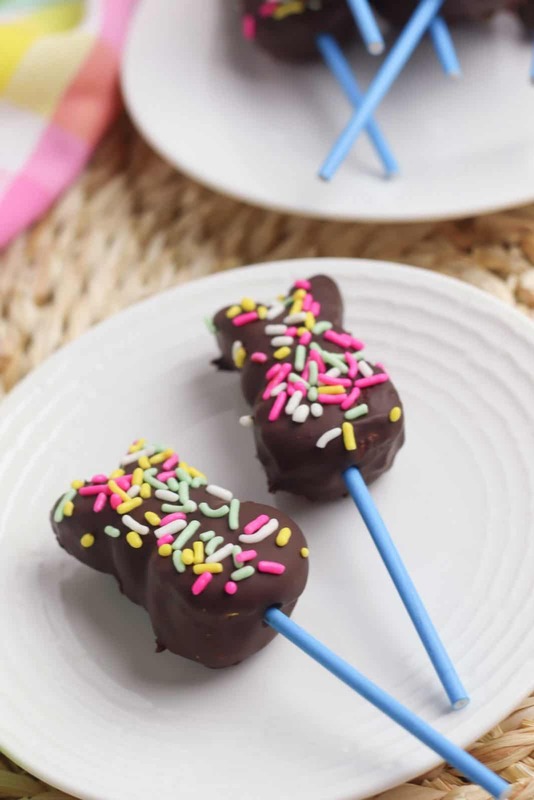 These chocolate covered bunny marshmallow pops are seriously cute! 13. 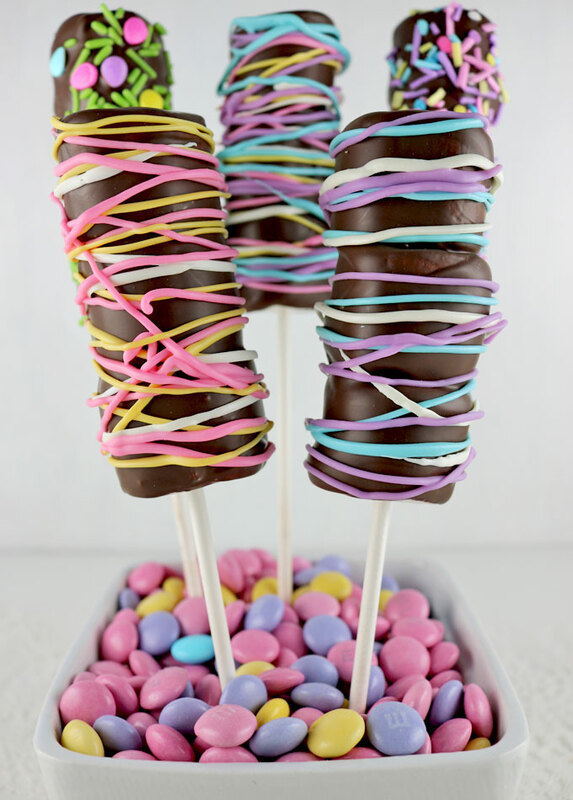 These YUMMY Marshmallow Wands will be the hit of your party! 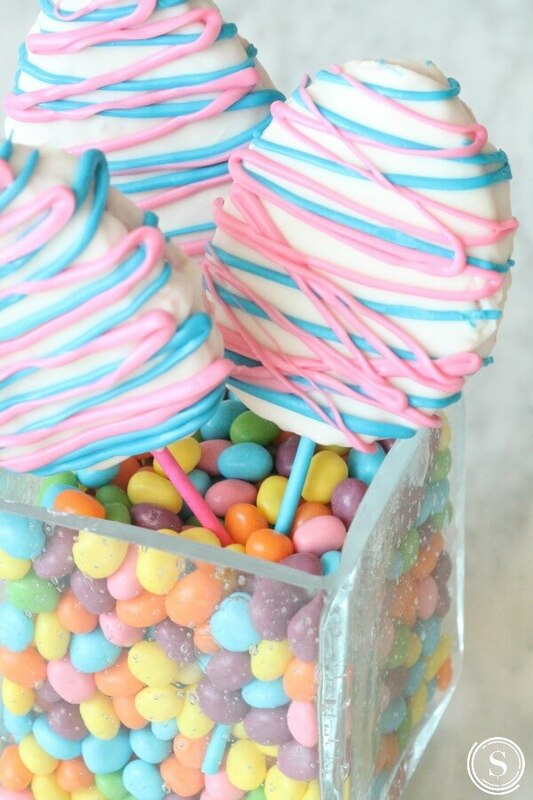 Oh my goodness these marshmallow wands scream Spring! They’d make a great centerpiece for Easter lunch of at a party! YUMMY! These Rice Krispie treats look AMAZING! 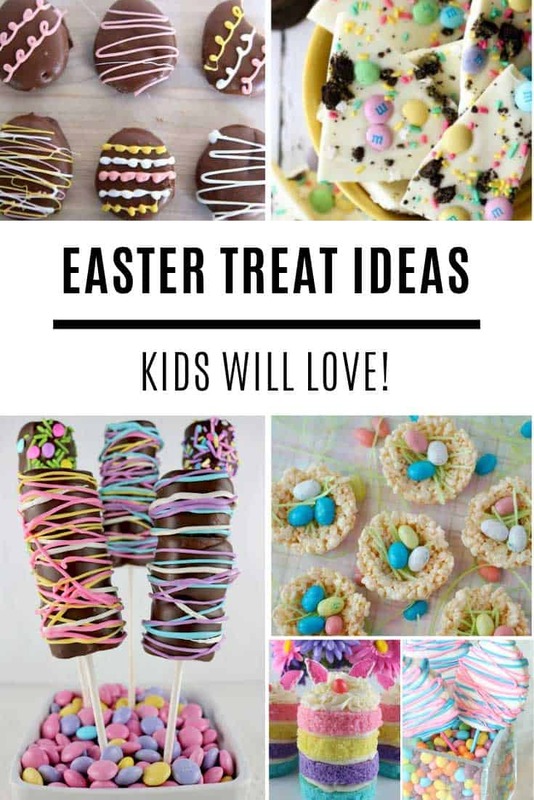 You have to make these for your Easter Egg Hunt party! 11. 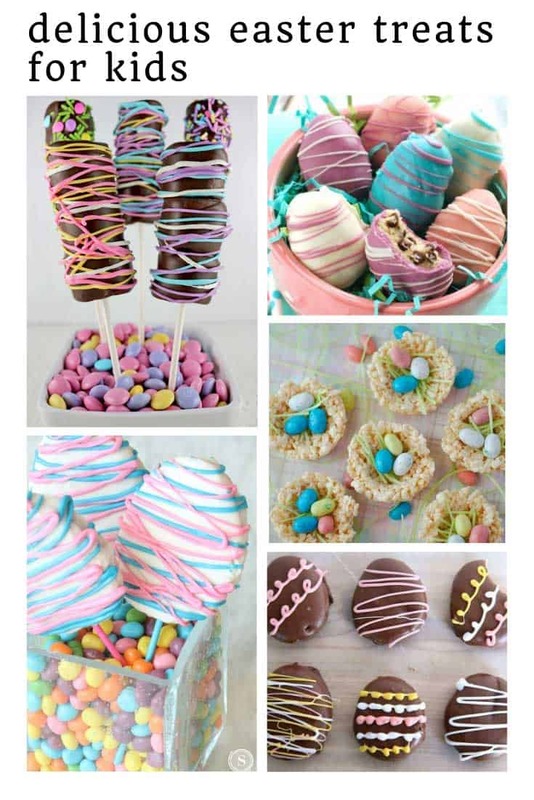 Ever thought of turning your Rice Krispie treats into Easter Eggs? These are so EASY to make the kids can have fun putting them together and eating them! 10. These cute Peeps Pretzels take less than 10 minutes to make! Last minute Easter treat alert! No excuses with these because they take less than 10 minutes to make! 9. Move over puppy chow the bunnies are in town! Ha! Love this bunny chow. It’s the perfect Easter snack for the kids to enjoy. 8. 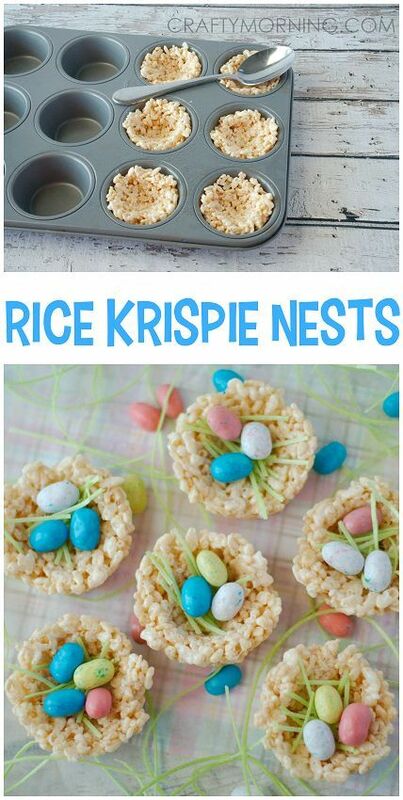 Easter wouldn’t be Easter without some Rice Krispie Nests right?? 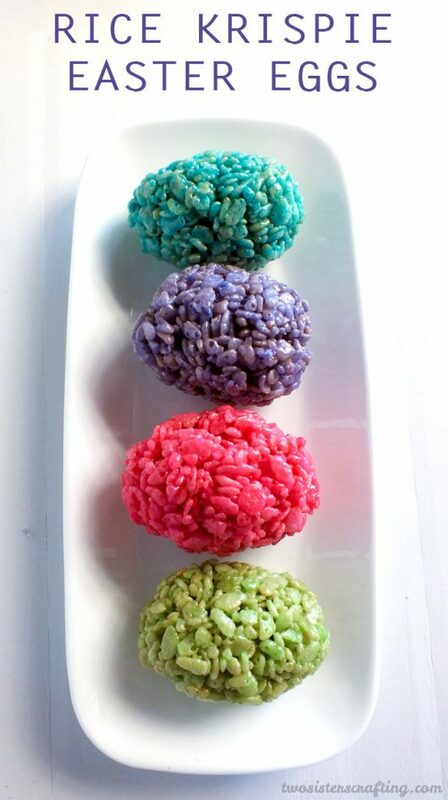 Here’s a blast from the past, you remember making these Rice Krispie nests where you were a kid right?? 7. Ha! Bunny Butts! The kids will love them! Oh my goodness these are so funny, the boys will think these are hysterical! 6. Are you obsessed with Cookie Dough? You NEED these in your life! Psst keep these away from the kids. Cookie dough cookies. Oh my! Why not make a popcorn bar and let the kids have at it making their own Easter treat creations! 4. 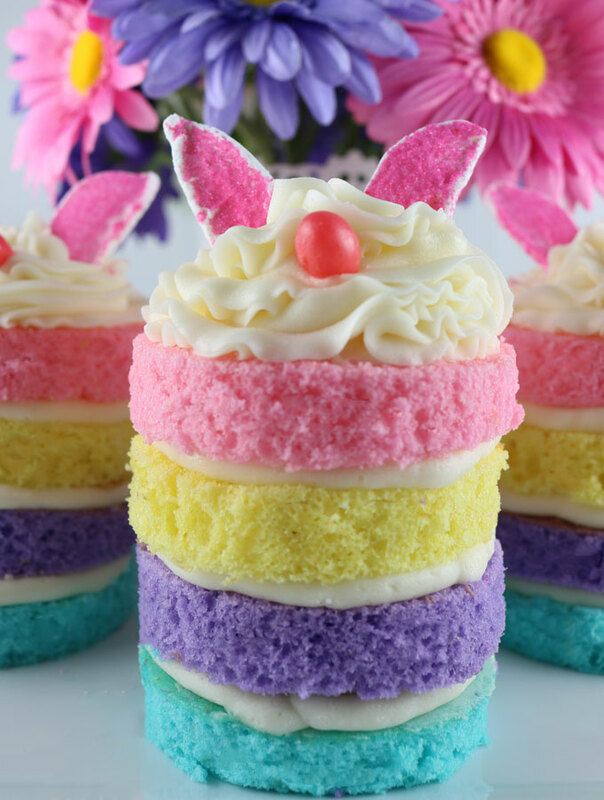 You only need 4 ingredients to make these YUMMY Easter treats! 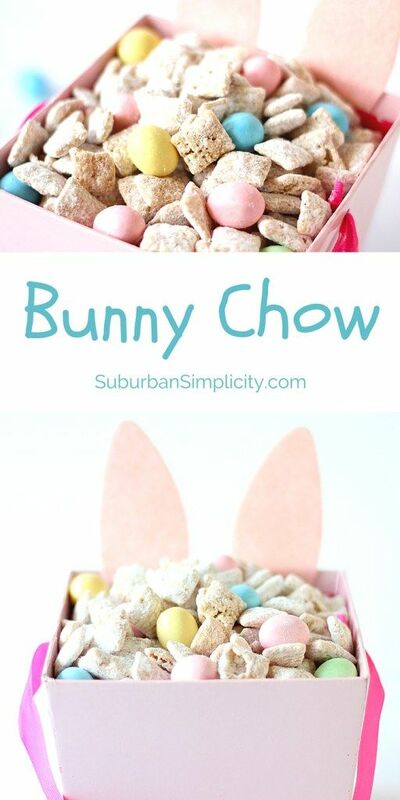 I know how much your kids LOVE popcorn, so you have to see this Easter version! Oh yes. This one will go down a storm with the Reese’s Peanut Butter fans! 3. Here’s a DELICIOUS Easter desserts for the grown ups! Oh I knew you’d want to see this brownie parfait! Who says Easter treats are just for kids anyway? The grownups will LOVE these! 2. Oreos + M&Ms + sprinkles = Easter DELICIOUSNESS! YUMMY! The kids will have fun making this, just make sure they don’t eat all the Oreos! 1. Easter cakes do not get any CUTER than this right?? Almost too adorable to eat!! Aren’t these cakes the most ADORABLE thing you have ever seen?? They’re going to steal the show at your Easter party!